Painted Turtle Book, 9780814340196, 280pp. In the late nineteenth century and early twentieth century, the look and feel of cemeteries in the United States changed dramatically, from utilitarian burial grounds to the serene parklike spaces that we know today. The so-called park cemetery was innovative not only for its distinctive landscape architecture but also because its staff designed, ran, and maintained the cemetery, which led to a very consistent appearance. By the mid-1800s, the influence of park cemeteries began to spread from big cities on the East Coast to the Midwest-eventually producing fifteen transitional examples in Grand Rapids, Michigan. 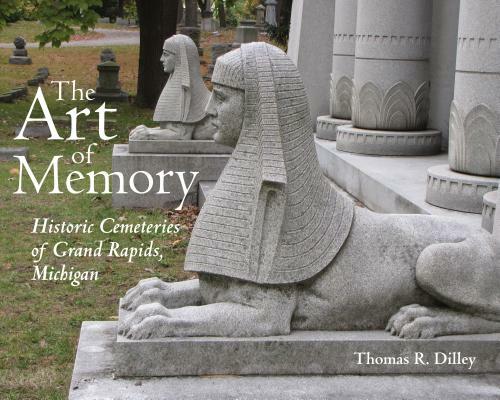 In The Art of Memory: Historic Cemeteries of Grand Rapids, Michigan, Thomas R. Dilley details the history of Grand Rapids' park cemeteries, finding that their development mimicked national trends and changing cultural beliefs about honoring the dead.